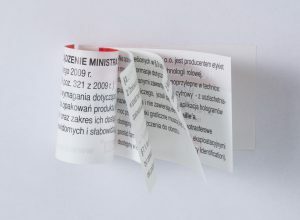 A long leaflet that is folded many times is not the most practical solution for users. A much simpler version is a leaflet that looks like a perfect bound booklet. It works best on leaflets which need to be read multiple times and therefore the booklet has to be peeled off and then re-applied. 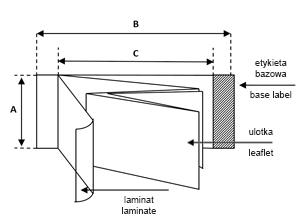 The most important property of the perfect bound leaflet is that it is easy to use and allows users to peel off and re-apply the booklet repeatedly. This explains why it is so popular, especially the booklet version for pharmaceutical, plant protection and other chemical products. The production process of both the leaflet and the booklet is controlled at all stages to ensure the highest standards are met.